Me: You know, I've read that Abraham Lincoln was the most misquoted person in history. 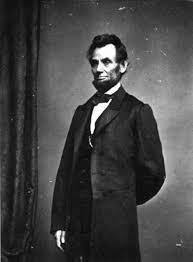 Friend: Well, Lincoln himself said: "I foresee that I will be the most misquoted President in history." Me: Wow! That's amazing that he actually said that! Yes, it took me about a minute to realize my stupidity. Maybe you had to be there, but oh crap was it funny. I'm not agreeing with the stupidity part, but the flaws in your logic were funny to me immediately. Thanks for the laugh. Yep, I'm that gullible, too! War Of The Academic Worlds. A Banner Day For The Boy Scouts Of America.